Know what you need to do after an accident so that you’re prepared. Whether it’s speeding, texting, or letting the mind wander, it only takes a matter of seconds for a leisurely drive to turn into a disaster. After the initial shock of the crash, you’re faced with various emotions. You’re confused, scared, and angry. But, such emotions can cloud your judgment and make it difficult to handle a car accident. That’s why it’s important to be prepared for a car accident. 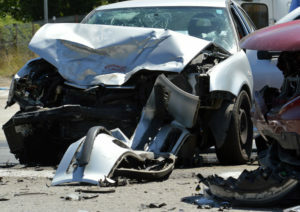 Brush up on your traffic accident procedure so that you’re best able to deal with the situation. Use this simple guide to teach you what to do after a traffic accident. Move to a Safe Space. After an accident, you’re likely in the middle of the road. Pull over to the shoulder of the road so that you minimize your risk of getting hit again. If you’re unable to move over to the roadside, ensure that you’re visible. Turn on your hazard lights and wait for help to arrive. Once you get your bearings, check to see if anyone is injured. If anyone needs medical attention, call an ambulance. Next, call the police. They will take an accident report which will then be useful when it comes time to submit an accident report. Plus, they can help mediate the situation if it gets out of hand. After an accident, it’s imperative that you exchange information with the people involved in the accident as well as any eye witnesses. That way you have all the information you need when it comes to filing an insurance claim. Take down the name and phone numbers, license plate number, make and model of the vehicles involved, insurance information of all parties involved, a copy of the accident report and the name of the responding officer, and any other information that may be pertinent to the accident. Additionally, it’s important that you take plenty of pictures of the damage to submit with your claim. When it comes to your safety on the road, ensure that you’re well protected with the right auto insurance. Contact the professionals at Robert J. Los Insurance Agency to find you the right insurance. Located in Hamburg, New York, we serve all your personal and commercial insurance needs.